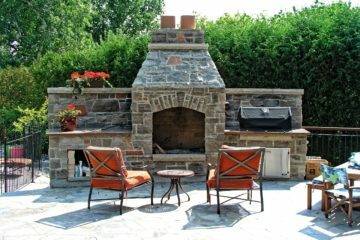 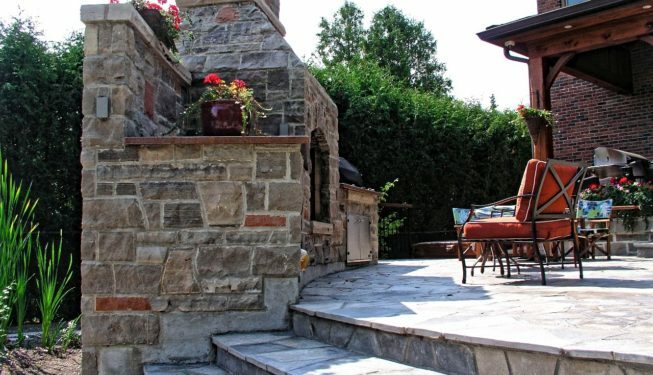 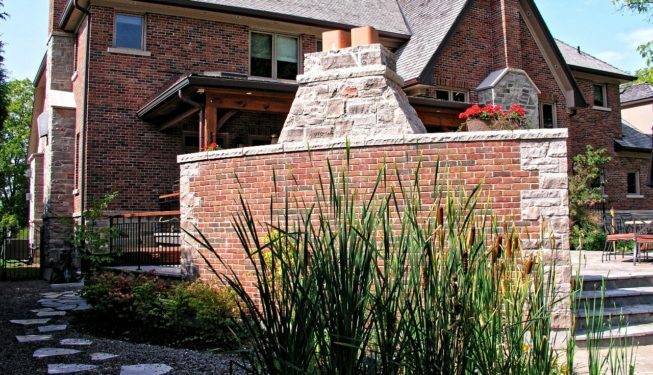 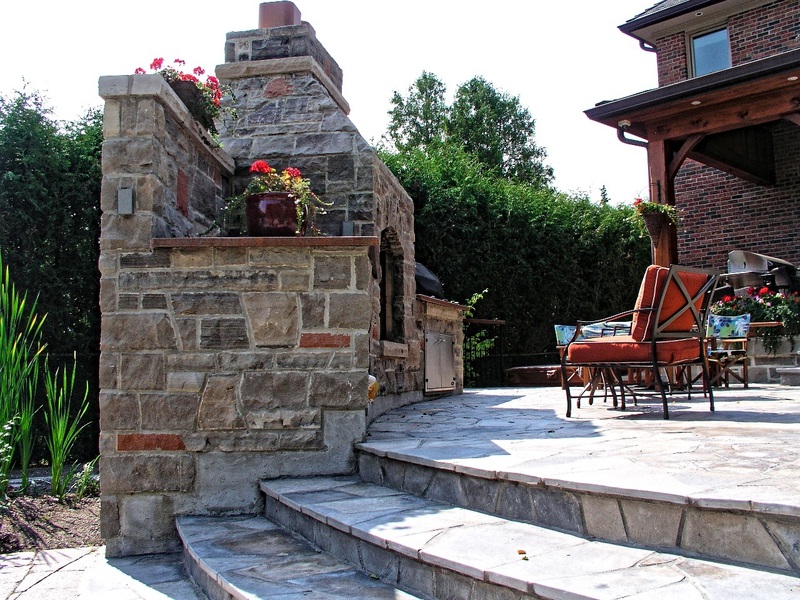 The Slyvaldene represents an elegant design theme where classic masonry and stone features permeate the focal points of entry, basement walkout, pool, cabana, and BBQ Fire Pit. 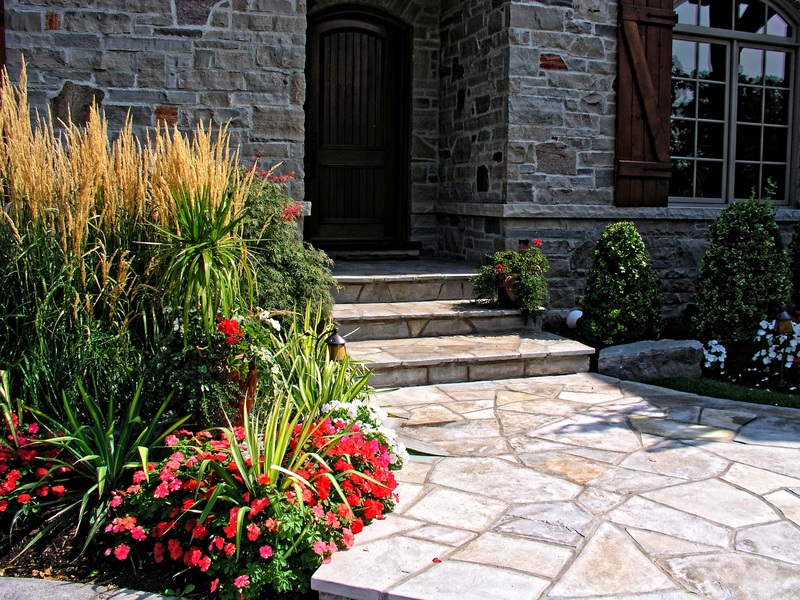 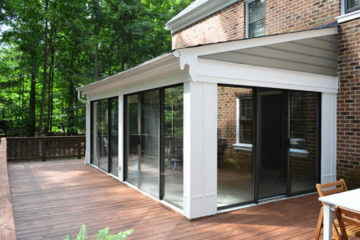 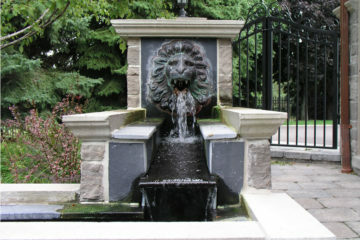 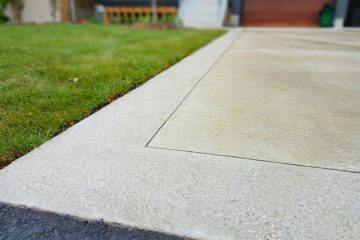 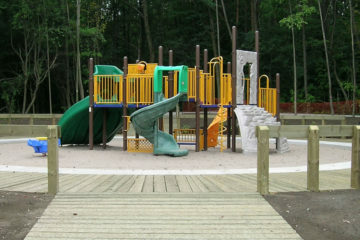 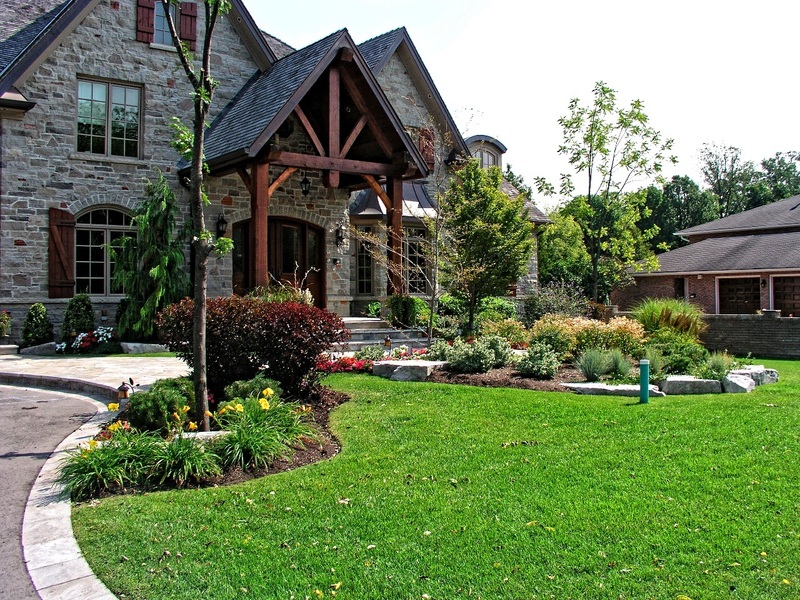 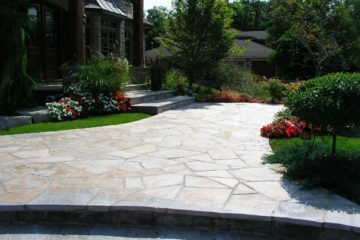 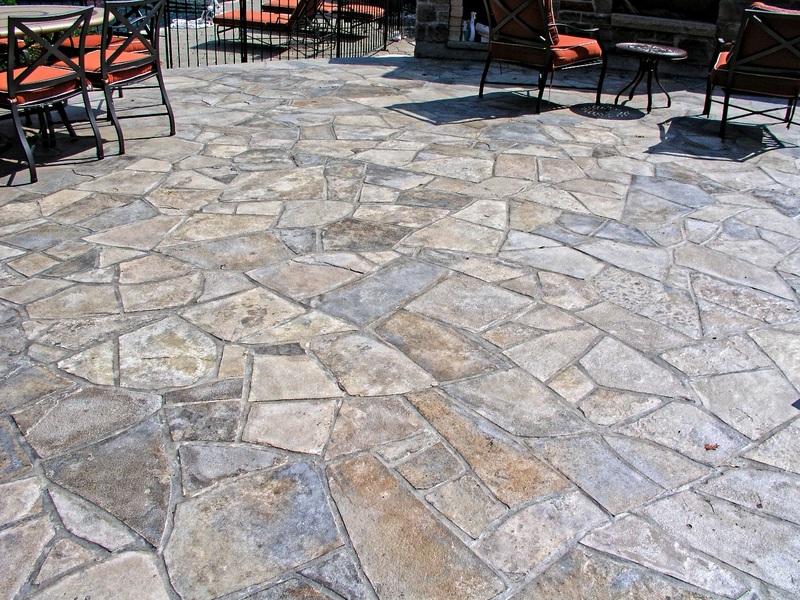 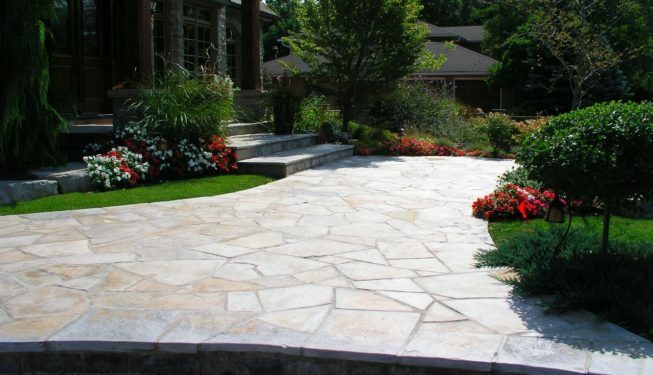 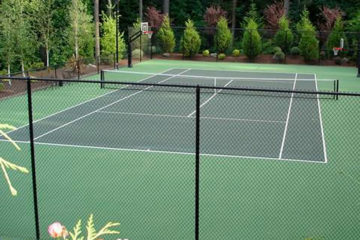 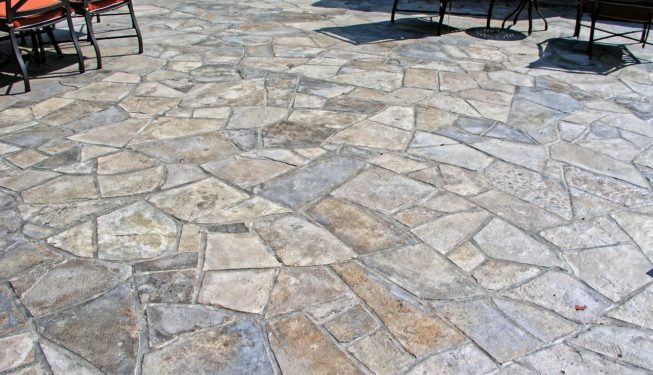 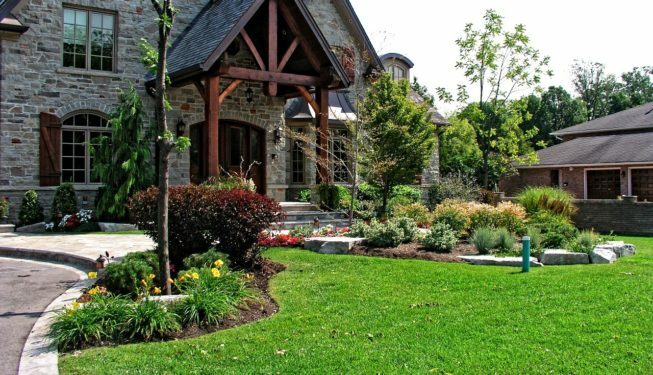 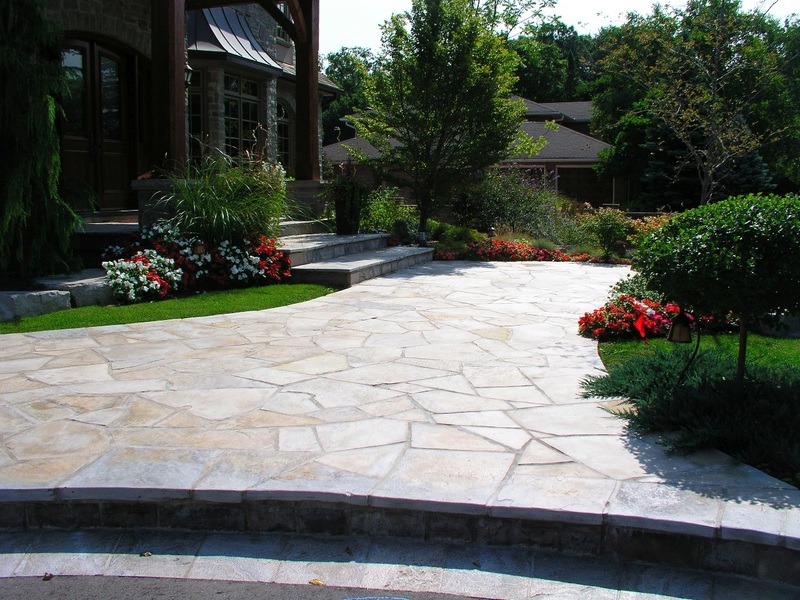 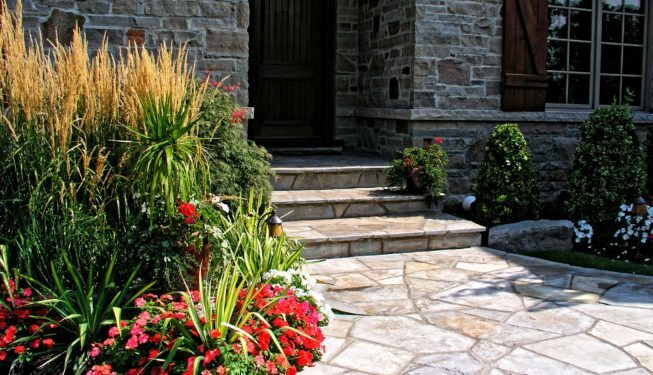 Classical curb appeal is emphasized by a rolling natural stone-bordered asphalt driveway, and easy maintenance gardens. 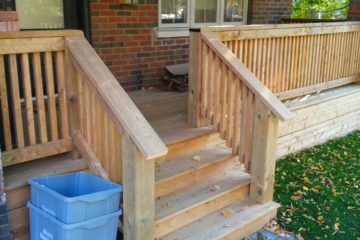 A Flared flagstone walkway and stairs (with concrete foundation) direct you to the new reclaimed cedar Gable overhanging the front doors. 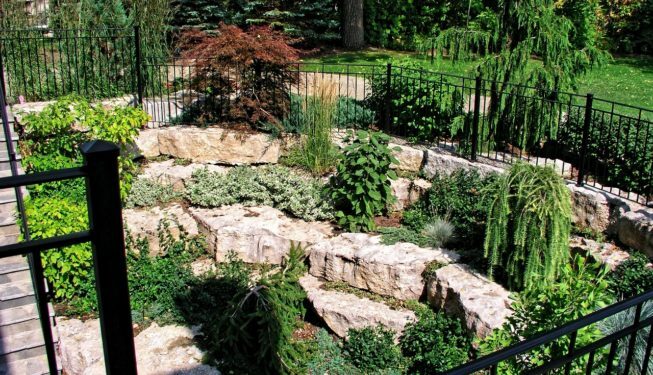 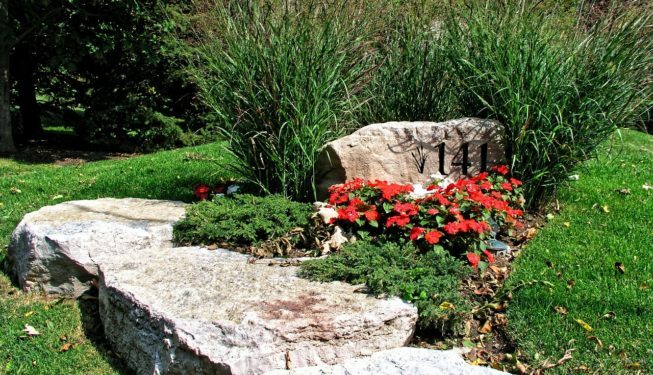 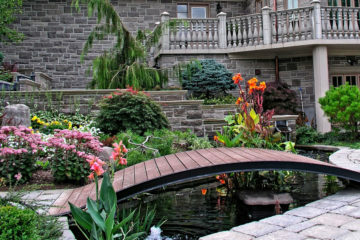 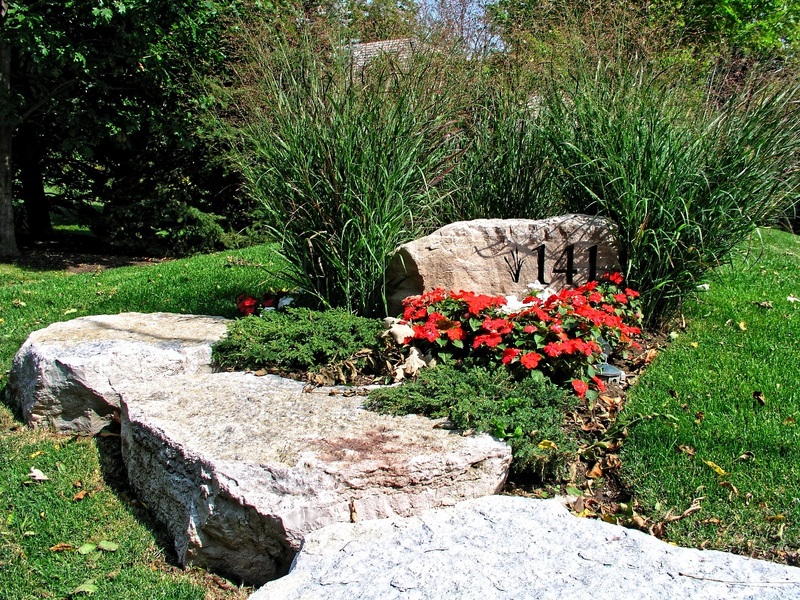 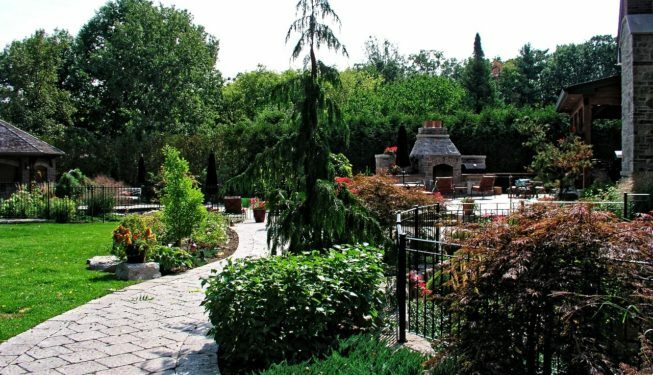 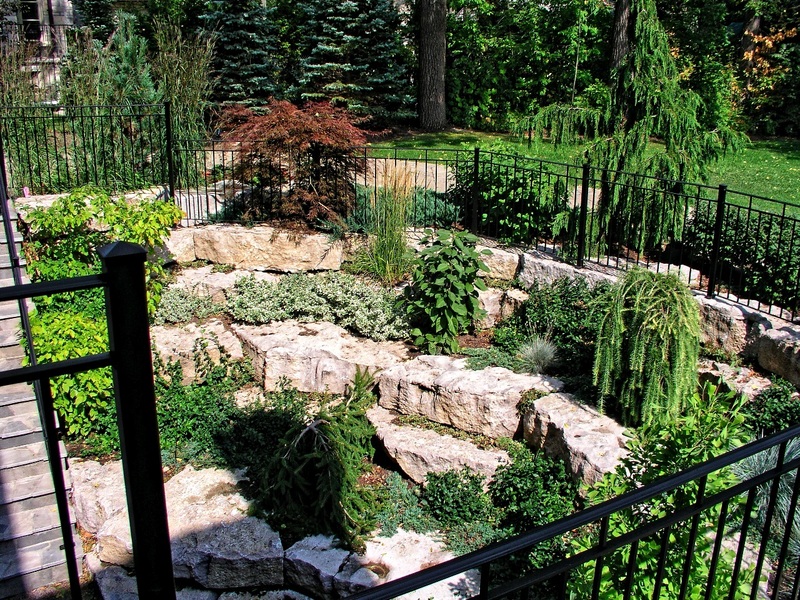 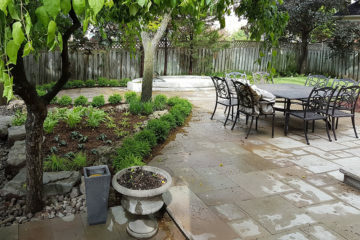 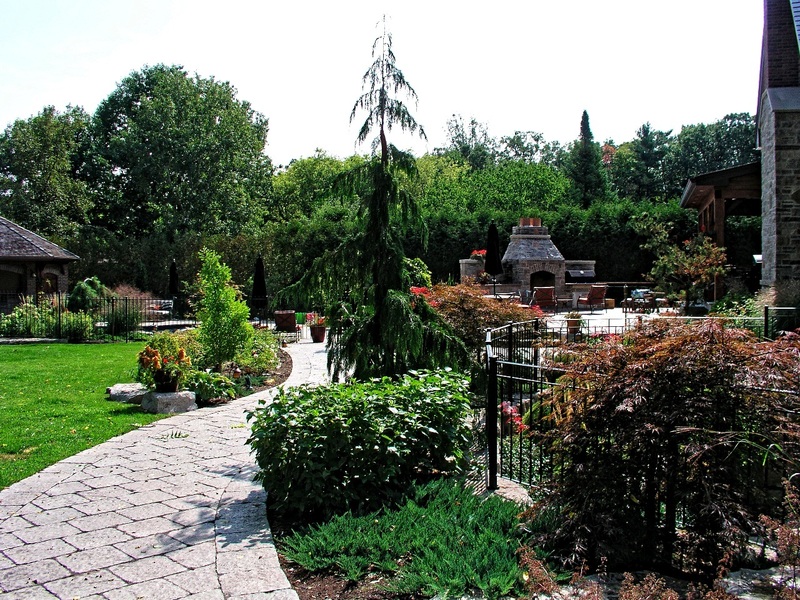 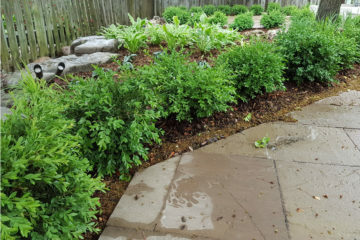 As you walk along the interlock walkway, you are surrounded by a lush landscape of shade tolerant perennials that brighten and demarcate the woodlot in the backyard. 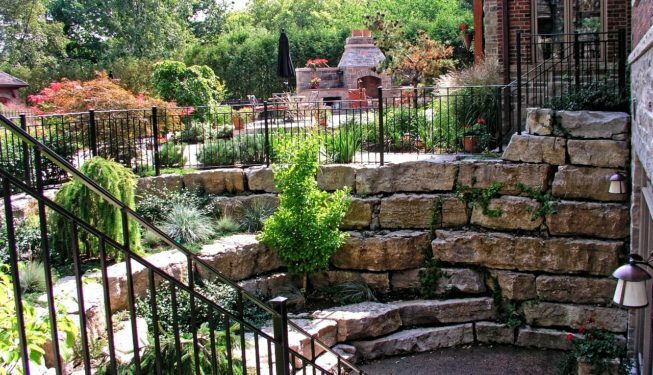 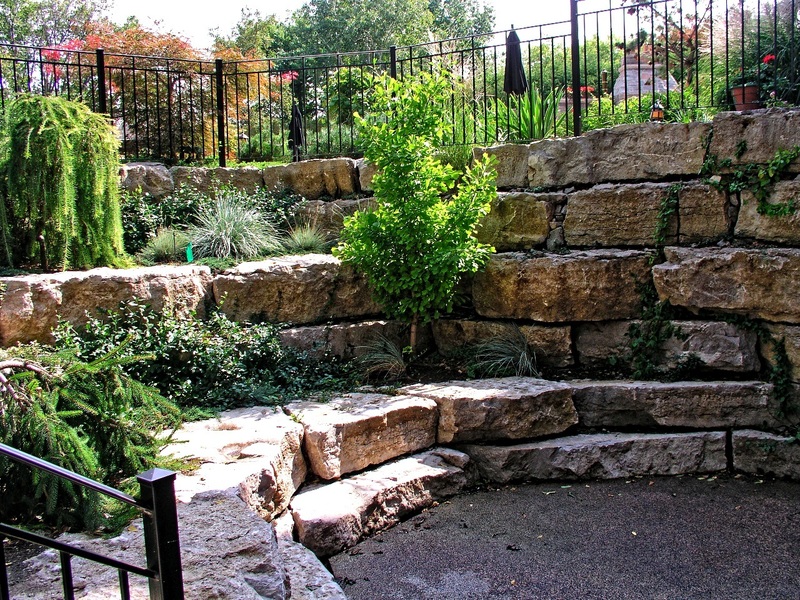 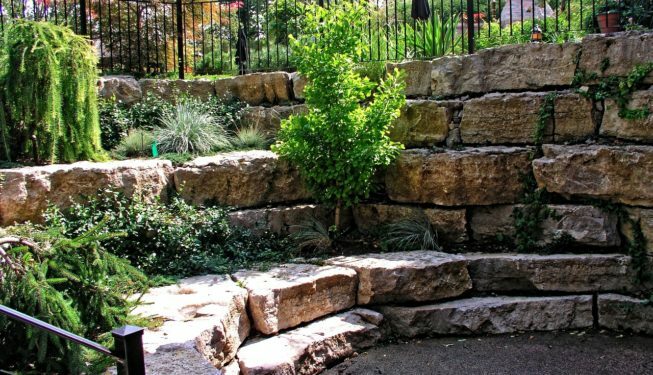 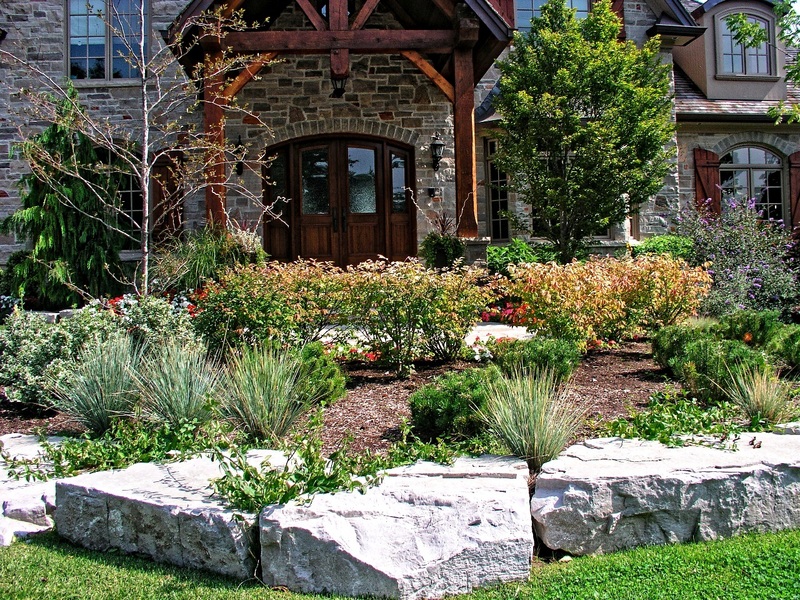 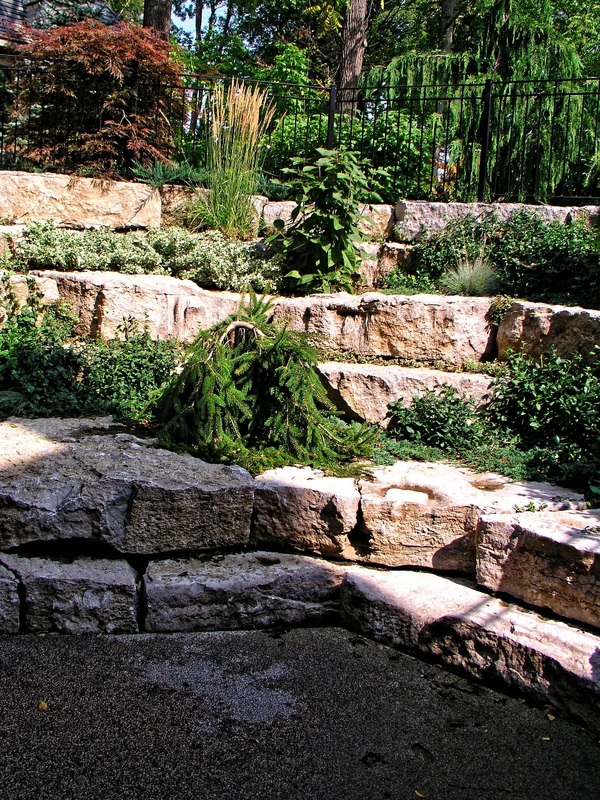 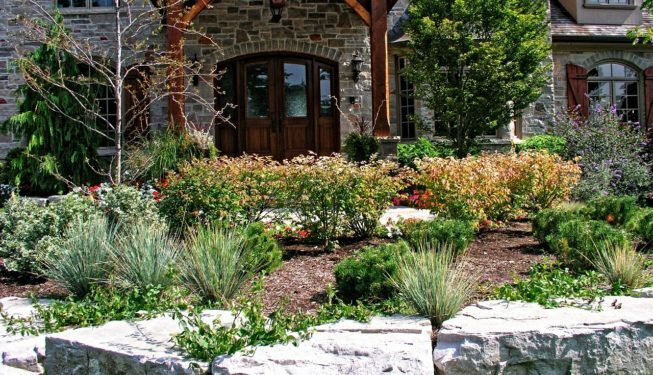 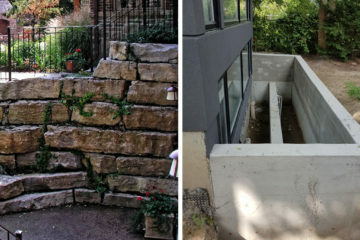 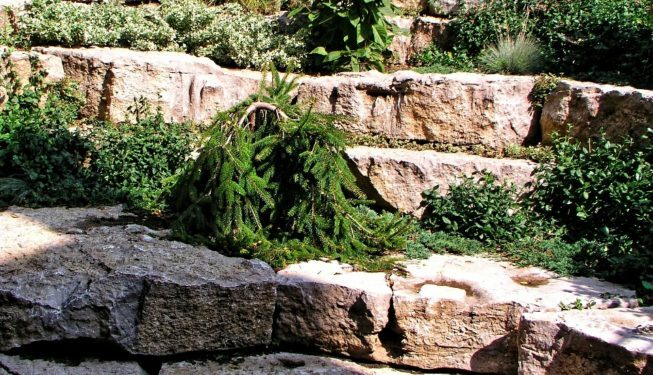 For the basement walkout, instead of traditional concrete walls, an oversized window well – acting as a retaining wall – was created with a battered armour stone system accented by green garden tiers. 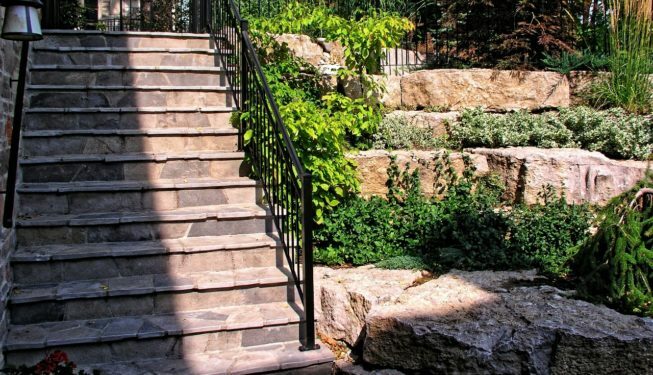 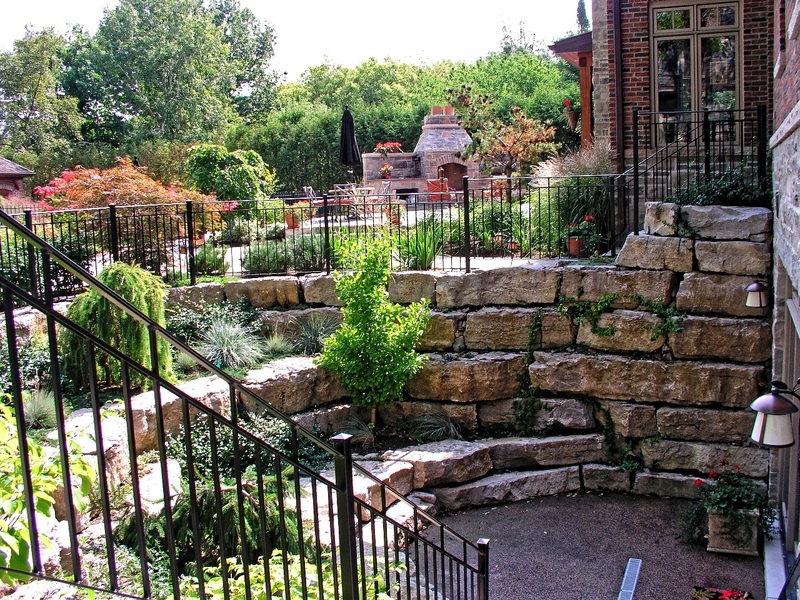 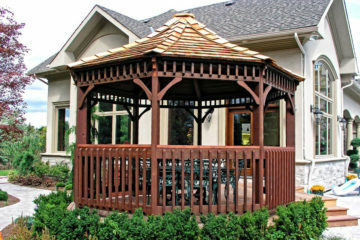 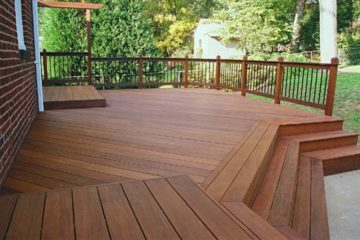 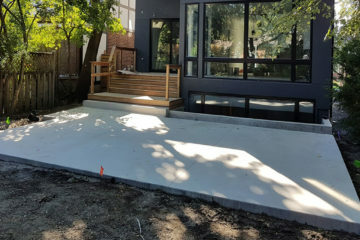 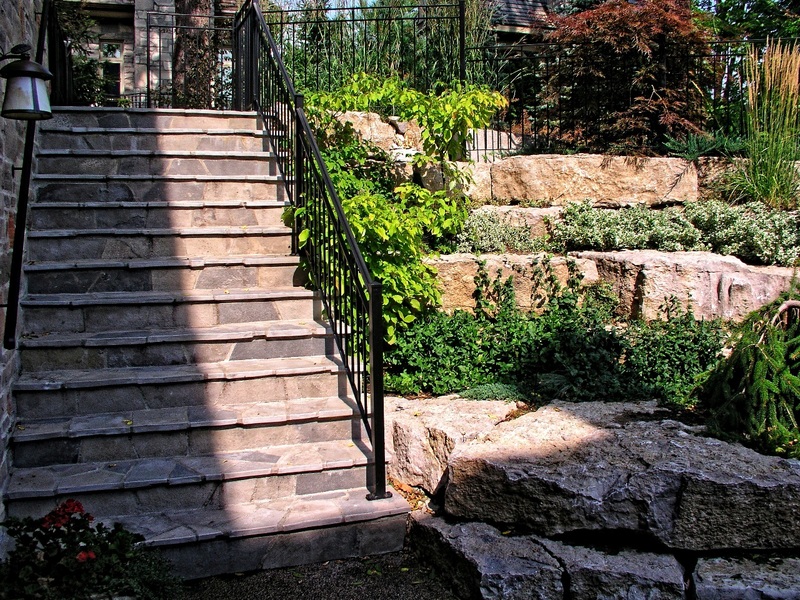 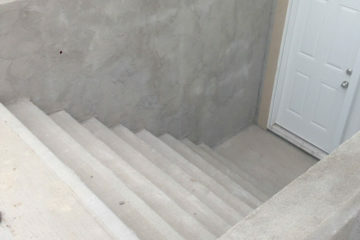 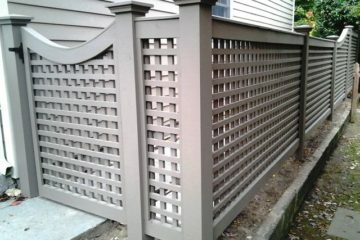 Steel railings provide fall protection all-around with flagstone-laminated concrete stairs rising up to ground elevation. 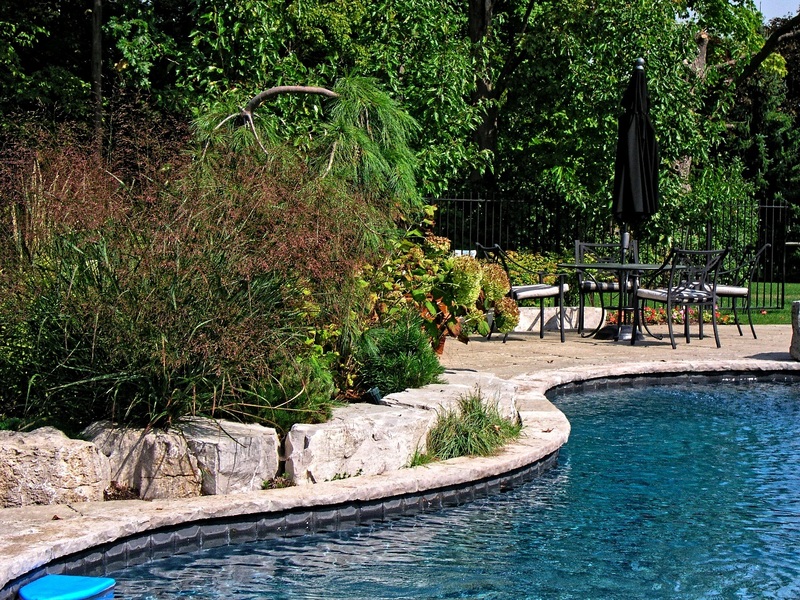 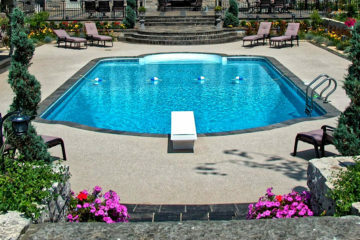 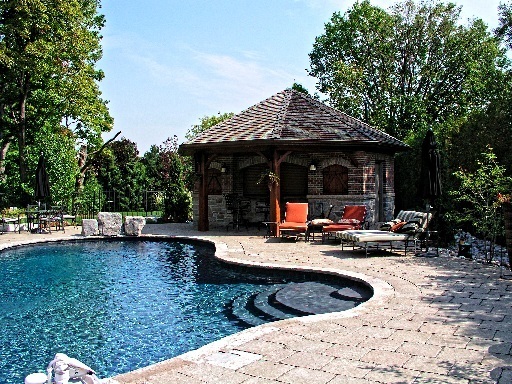 The interlock pool deck surrounds the custom-formed shotcrete concrete pool bordered with natural stone coping. 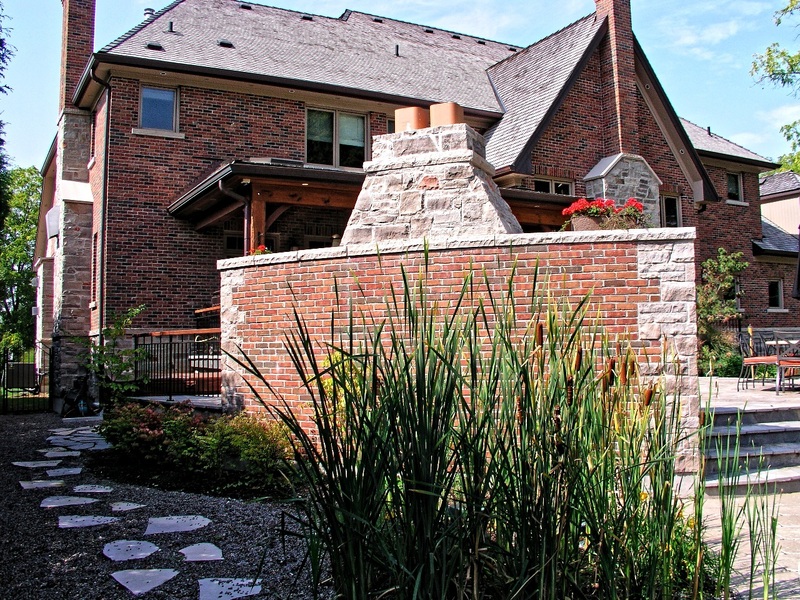 An integrated natural stone, brick and cedar timber Cabana houses the outdoor shower area.